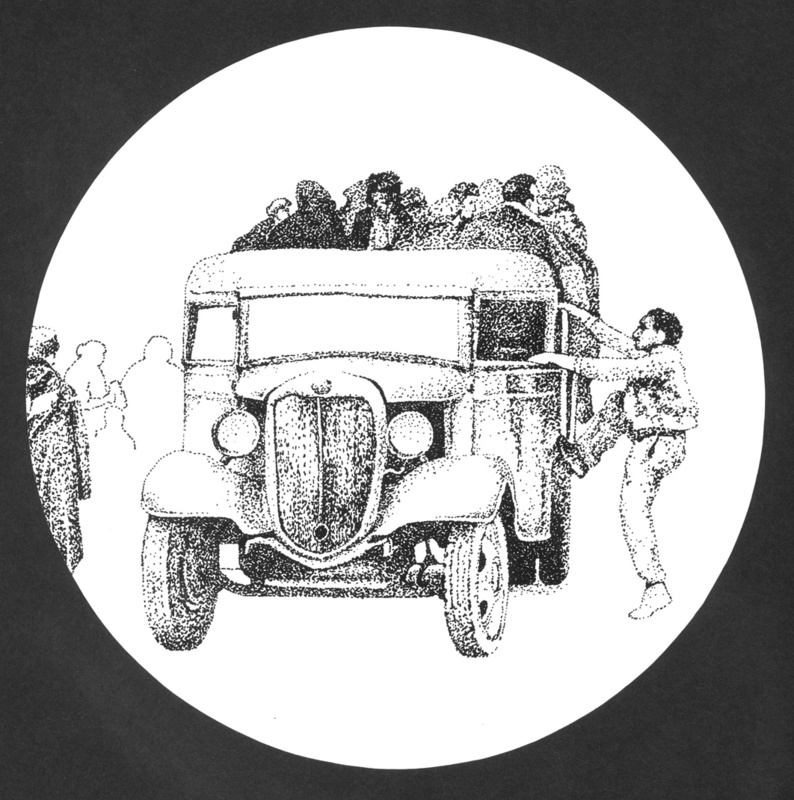 Ink stipple illustration for a proposed article on the Spanish Civil War describing a decade-long struggle (1930–39) that tore the country apart and uprooted its people. With the backing of Germany and Italy, Generalissimo Francisco Franco's assention to power was certain. With the fall of Barcelona, Madrid then surrendered. Hitler now had Spain in his pocket, and France, now boxed in, recognized Franco as head of state.